In 2017 year I read all the things. All of them. It's like an addiction. I just can't stop. 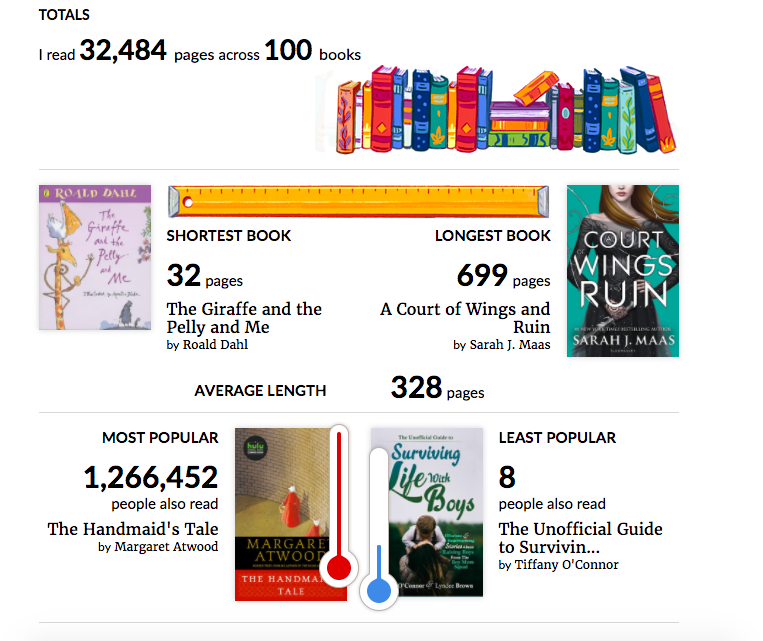 For the first time ever I read 100 books. I also read some novellas which was a new thing for me, and Sebastian and I started to read chapter books together. If you track your reading on Goodreads, it puts together a cool infographic of your year in books, so this is what mine looks like for 2017! Also, if you want to follow along my reviews on Goodreads, you can check out my profile here. 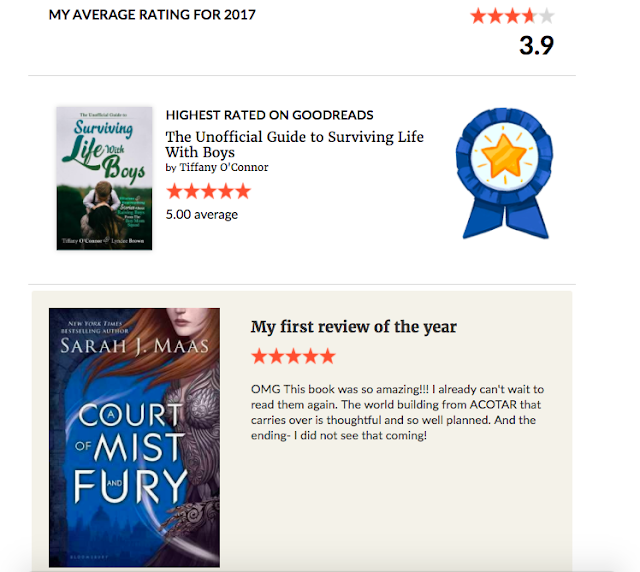 Stay tuned for my 2018 reading goals, and for more, here is my reading recap for 2016.